Here, homeowners share a wide variety of ways to make money from your household items. See tips & tools for selling items on eBay, how to get started cleaning homes for a living, how to rent your house and become a landlord. Plus, home improvement projects that boost resale value and yard sale tips from homeowners who've had successful sales in the past (with tips for dealing with garage sale cash, change & money issues, pricing yard sale items, and advertising your yard sales). The day before your garage sale, you need to get some money from the bank or an ATM so you can make change with shoppers who visit your yard sale. 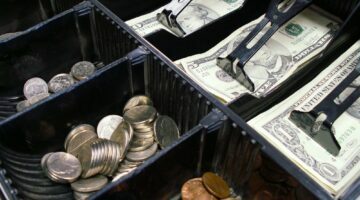 How much change should you get? And how do you organize all your money and keep it safe during the garage sale? All of your garage sale cash questions answered here! How I Made $1,013 At A Garage Sale – 101 Of My Very Best Yard Sale Tips! I’ve had lots of great garage sales, but I recently had my most successful yard sale ever. I made over a thousand dollars! These are my best yard sale tips. 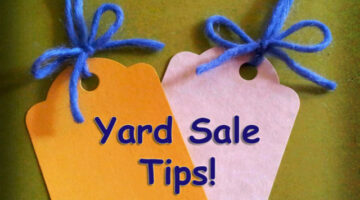 Wondering where you should post your yard sale online? I’ve had the best success with these 6 yard sale search websites & apps. Yard sale advertising tips! 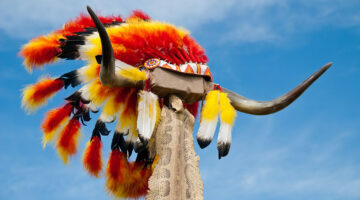 I’m a Native American. Typically, what I see is that Native American collectibles are either priced too high… or too low. Usually that’s because the person selling them really doesn’t have a clue as to what they have, and they haven’t bothered to research the items’ history and worth. Here’s what you need to know to get a fair price for your collectibles. Never sold anything on eBay before? Have no fear… it’s easy to sell your first items in an eBay auction, thanks to these 2 great tools. Plus, lots of tips for selling on eBay from the pro’s — those who’ve made a lot of money doing it. The Ultimate Yard Sale Guide: All My Best Yard Sale Tips To Make The Most Money! Preparing for a yard sale is definitely a PROCESS! I’ve had a dozen or so garage sales in my lifetime, and each time I fine-tune the things I’ve done in the past and make mental notes of the things I want to do and not do at my next yard sale. 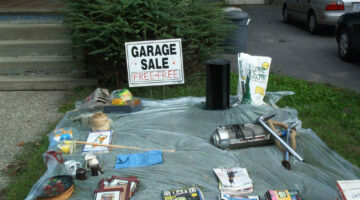 Here’s what I’ve learned… all my best garage sale tips! Here are some great ideas for what to do with all of the unsold items at your yard sale or garage sale. Briefly: donate, sell online, give away for free, save for next garage sale, keep and enjoy. Some options: eBay, Freecycle, Craigslist, Goodwill, Salvation Army, or friends & relatives. What can you do to call attention to your garage sale? Here are some unique things that you can do on-site at your yard sale to stand out from all the other yard sales in the area! What to men typically buy at garage sales? What unusual bargains are women looking for? What about teens? Here are some yard sale trends that I’ve noticed. Perhaps you can use this information to your advantage at your next yard sale. Here are some great tips for how to price yard sale items — both ahead of time, and on-site during your garage sale. 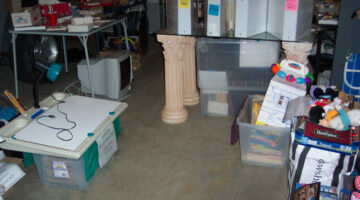 Plus, how you can find the true value for any item, so you know how much to ask for your yard sale items. 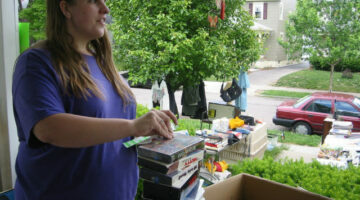 Garage Sale Tips: Do You Have A Rain Plan? Here’s What To Do If It Rains! When it comes to having a successful yard sale, you should always have a rain plan. Otherwise, if it rains, you’ve gone to a lot of work for nothing! So be sure to check the weather forecast. However, overcast days are often more successful than sunny, hot days! How To Make Creative Yard Sale Signs That Attract Attention & Really Work! In addition to neighborhood and directional signs which tell people how to FIND your yard sale, you’ll also want to hang a number of signs on-site at the yard sale itself. This will make it easier for people to find the prices AND locate similar items by ‘theme’. 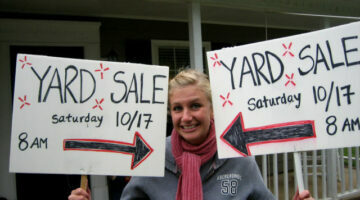 Here are some tips for making both types of yard sale signs — neighborhood & road signs, and price & description signs. Here are the best ways to get the word out about your yard sale including: where to place yard sale advertisements and what to say in garage sale advertisements. 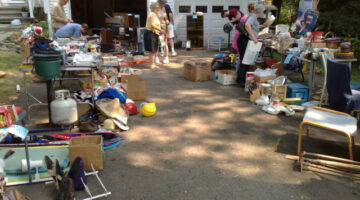 Should You Have A Multi-Family Yard Sale Or A Private Garage Sale? When it comes to neighborhood yard sales, I’ve always wondered if it’s better to take advantage of all the free advertising they do for you, or if you should take the time to write your own ads, hang your own signs, and pick your own date. Here’s what I’ve concluded….